Good Morning! 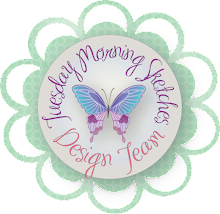 With the vast growing popularity of digi stamps (you know I love them) I thought it would be fun to have a day on my blog that I actually use my rubber stamps. 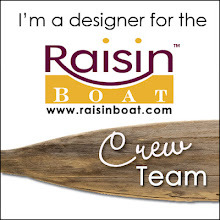 I find that since I am on a couple of design teams for digi-stamp companies, I use my rubber stamps less frequently. So as not to neglect them, I'm dedicating a day to them. 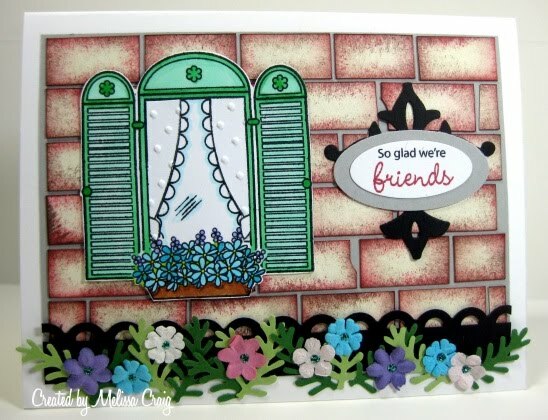 My sister Theresa was very sweet to me with last month's new release over at There She Goes stamps. She won the entire release but since Theresa has such a generous heart, she purchased the release and gave our other sister a stamp set and me the other two. It was high time I played with them. I had decided to play along with Just Us Girls challenge which was a great sketch and would allow me to use Art is the Window set. This is such a fabulous set! What do you think? First of all, I created the brick wall by cutting 1/2" x 1" bricks and then sponging them with two colors of ink. I layered them onto gray card stock to create the mortar. Next I created the window scene. I also paper pieced the curtains so that I can emboss them so that they looked like sheer curtains with velvet polka dots. I also wanted to create a beautiful and ornate wrought iron & tile address plaque but instead of numbers, I put the sentiment. Now I changed the sketch up a bit by putting the scallops upside down to create a wrought iron fence and instead of the ribbon, I added a flower garden. I am pretty pleased with the overall look of my card. Thank you so much for stopping by today! Your visits mean so much to me. Happy Sunday! OMG - Melissa this is AMAZING!! I can't believe how much work went into this card. Cutting all those bricks. I love it!! There's no other words, but WOW!! and you can send it to me!! Wow is about all I can say, this card is so full of wow stuff! 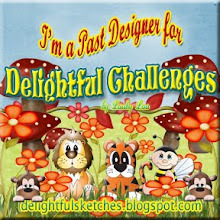 You are such an amazing designer I wish I was as talented. Oh My Goodness!!! I'm totally smitten with your card! The brick wall is just amazing!!! I love the little scene you've created - it really appears as if I am staring at the side of a house, complete with a colorful flower bed! Wow! Wonderful work! Thanks so much for getting sketchy with Just Us Girls! Wow you are a superstar! To cut out all those bricks and to have them come to life like that just blows me away. I so love your curtains and the embossing. Your such a talented gal and so love looking at your work. Have a great day sweetie. Amazing card, Mel!! I love the dimension with all the beautiful flowers!! OH crow! This is amazing!!! That brick wall is stunning as is everything else! Thanks so much for playing along with JUGS this week. Wow, I'm speechless. It's awesome and I had to re-read how you did that brick wall. It's awesome!!!! This is wonderful - such a charming scene you have created. I especially like the flowers and wrought iron fence! The overall effect is just delightful! Great job on the embossing challenge. 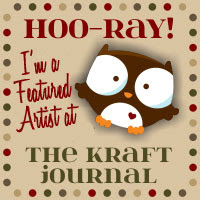 So happy you could join in the fun with us this week at Our Creative Corner. Oh Melissa!!! I just LOVE what you've done with the sketch! The bricks alone are perfectly inked. Lovin' that stamp set too! The way you layered your sentiment is so cool! Fab job girl! What a fantastic idea! Love it. I could never sponge like that - I am truly impressed. Thanks so much for sharing your amazing card. Oh Melissa, this is fabulous! I love the bricks and how some of them have a nick in them (I don't know if that was intentional or not, but I love it)! Such a lovely window scene...very clever work! Thanks for playing with Just Us Girls! Congrats! This is beautiful. I love the bricks. This is ONE of the most gorgeously paper-pieced, and heavenly created pieces of paper-craft I have seen! WONDERFUL work! 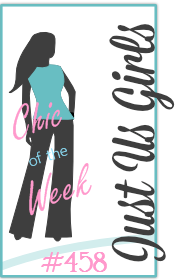 Huge congratulations to you and your exciting CHIC of THE WEEK honor from the JUGS! Wahoooo!